Beacon Hospital in South Dublin. THE UPMC BEACON Hospital in Dublin has been awarded for delivering a pioneering treatment in stereotactic radiosurgery, which is used to treat cancer. The Beacon is the only hospital in Ireland that provides stereotactic radiosurgery, and since 2008, the hospital has delivered 2,548 treatments, 1,176 of which took place last year, on over 500 patients. Stereotactic radiotherapy delivers high doses of radiotherapy by directing fine beams of radiation at very small tumours. It is a non-invasive technique which can replace the need for complex invasive surgery in the case of some brain or lung tumours, cancer of the spine, liver and kidney among other areas. We are delighted to accept this award and are proud of UPMC’s pioneering position in this field in Ireland. 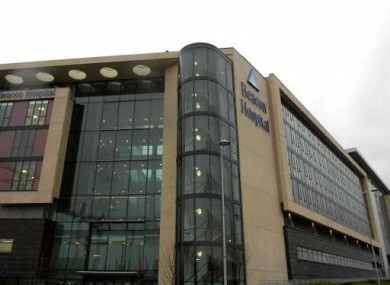 Email “Beacon Hospital wins award for delivering pioneering cancer treatment”. Feedback on “Beacon Hospital wins award for delivering pioneering cancer treatment”.